The truth about America’s favorite recreational drug. The marijuana market grew to $9 billion in 2017, and the projections for this year are higher! The latest report from ArcView Market Research- “U.S. Legal Cannabis: Driving $40 Billion Economic Output” demonstrates how big the numbers are getting and clearly sums up the optimism of its findings. Today, hundreds of companies stand to capitalize the benefits of the green rush with much less of the risk. In fact, doctors and patients across the globe are embracing medical marijuana. The chemical compounds called cannabinoids (e.g., THC and CBD) present in cannabis provide relief to an array of symptoms including pain, nausea, anxiety, and inflammation. As laws expand and technologies develop, the world of weed continues to open up dissolving old stigmas and controversial legal status. Yes, it helps you relax! One of the most well known and immediate effects of cannabis is relaxation. The plant-based anti-anxiety compounds called cannabinoids travel through your blood and into your brain within minutes of smoking cannabis and you’ll be able to breathe a heavy sigh of relief and start smiling again. You can choose from various strains, a popular one being the blueberry weed. When you smoke the green herb, activity in a certain part of your brain called frontal lobe increases. In fact, within 30 minutes of smoking, this region responsible for critical thinking and creativity is fully activated in your brain. Cannabis also increases your ability to connect abstract thoughts, a prerequisite to creative thinking. Studies over the years have found that marijuana can help boost your creative ability and thinking process —which would help explain why so many artists and musicians tout its benefits. In 2017, the National Academies of Sciences, Engineering, and Medicine assessed more than 10,000 scientific studies on the medical benefits particularly to treat chronic pain. 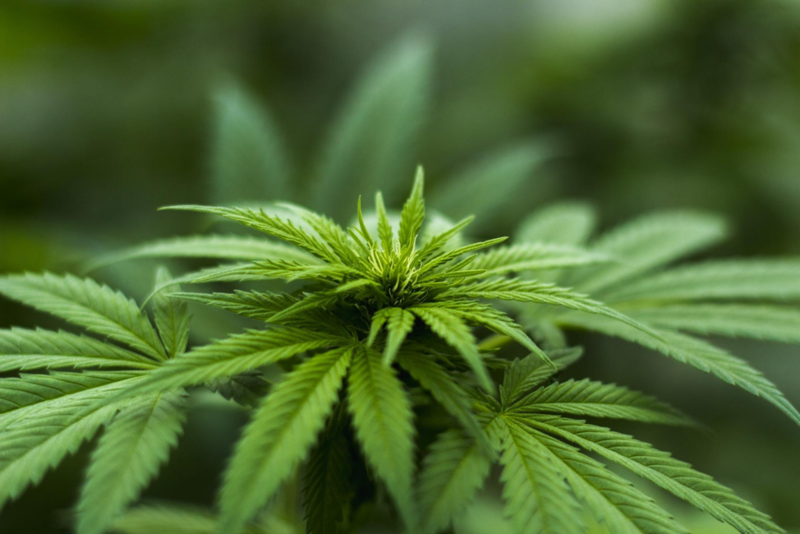 The review found that marijuana, or products containing the active cannabinoids (THC or CBD), or other compounds that act on the same receptors in the brain as marijuana — are effective at relieving chronic pain. The herb’s power as a natural analgesic works best when it’s consumed orally or inhaled. It also works well when it’s applied topically. It is advisable to consult a doctor to find out what works best for you. Cannabis can be a splendid sleep aid. Even people with the most stubborn insomnia can get a good night’s sleep with a sedating indica. While most consumers are aware that cannabis can be the perfect herbal nightcap, there’s a lot more to that relationship than you might think. According to a study by NCBI, ingesting marijuana strains with higher levels of THC typically reduces the amount of REM sleep you get and refreshes your brain. Reducing REM sleep means reducing dreams. Cannabis increases the time you spend in deep sleep. A heavy indica will put you to sleep fast and help you sleep more deeply and longer. During deep sleep, your body takes the time to repair itself and clear toxins from the brain. Studies have linked poor deep sleep with a variety of health conditions, including Alzheimer’s Disease. Studies show that people who smoke marijuana daily have lower BMIs and smaller waistlines than the average person. Canna consumers are also less likely to be obese and appear to have a better ability to tolerate carbohydrate. In a 2013 study published in the American Journal of Medicine, researchers at Harvard found that not only did cannabis consumers have lower BMIs, but they also seemed to better break down carbs. In fact, there are several studies linking cannabis usage to lower body mass index (BMI). A 2016 study in the Journal of Mental Health Policy and Economics found that “daily female marijuana users have a BMI that is approximately 3.1% lower than that of non-users, whereas daily male users have a BMI that is approximately 2.7% lower than that of non-users.” The report concluded that prevalence of obesity is lower in cannabis users than in non-users. The medical benefits of this simple green flower are many and scientific research is being conducted to explore the application. However, this is just the tip of the iceberg!